Senior David Tucker shares the secret to living a fulfilling life. Picture a little boy peeking under the couch, around the chair, and under the cushions. He’s looking for the final piece to his dinosaur puzzle, but it’s nowhere to be found. His fingers rummage through the thick carpet, searching for the missing section of the puzzle. Now in high school, senior David Tucker continues to search for the missing pieces and where they will fall, but this time it isn’t for a dinosaur puzzle. Tucker knows a crucial part of living an authentic life is to follow your passions. It’s hard to imagine that not everyone’s interests are represented at LHS, but Tucker recommends getting involved and taking charge if one of your puzzle pieces is missing. “If you can’t find anything in the school that reflects you, create it,” Tucker said. Tucker is also firm in his advocacy of doing what you love, and loving what you do. He soon realized how important it is to remain loyal to your own beliefs and passions. “I would say yes to things that wouldn’t reflect who I am. I’ve learned to be capable of saying no sometimes,” Tucker said. 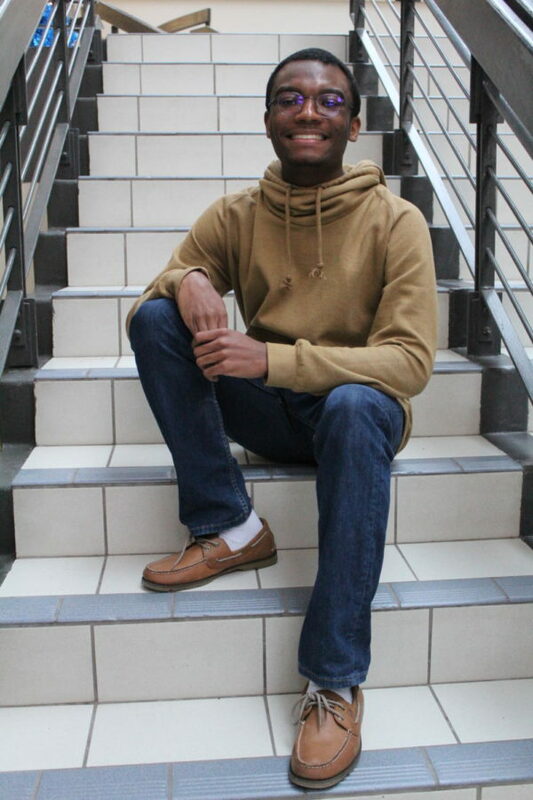 Certainly, his experience in setting boundaries has given him the room in his life to pursue his passions and make a positive effect on LHS and his peers. “He’s very smart and caring toward others. He always has good intentions. He really believes in the goodness of others,” senior Mary Connor said. National Honor Society, Spanish Honor Society, orchestra, and a leadership role on the Diversity Council take dedication and perseverance, and Tucker manages to participate in all of them. He takes on work from many sources to ensure that he’s reaching his greatest potential in each and every activity. So, what’s his advice for success? Tucker is driven to make himself and his community better. “I want to use my talents in a way that would not only showcase who I am, but also make a change in the world and just ensure that my personality truly reflects in everything I do,” Tucker said.